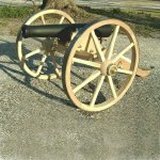 Cannon Wheels, Wood Cannon Wheels, Custom Cannon Wheels and Replacement Cannon Wheels, Handmade Cannon Wheels meant to be used on working, firing cannons. 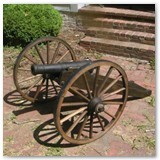 Our full sized Handmade Cannon Wheels are not a scaled up version of half scaled Cannon Wheels. 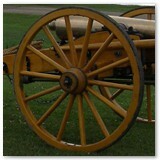 Each size Cannon Wheel has a larger hub, spokes, and felloes. 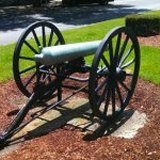 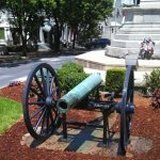 Our Handmade Cannon Wheels are on real working Cannons, as well as in the movies, museums, National Cemeteries, in town squares and on Military Bases. 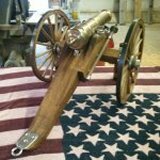 Our Cannon Wheels are made of hickory wood and designed to look like the civil war era Cannon Wheels and both World Wars. 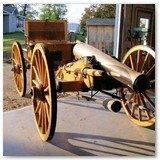 Our Cannon Wheels are extremely strong and solid, designed and dished for working cannon use as well as to add that rustic, country, or western decor to any room or landscape. 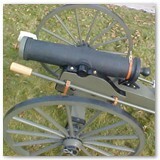 Cannon Wheels and Replacement Cannon Wheels are available in the following stock sizes, 15", 20", 24", 30", 36", 42", 50", and 57". 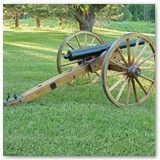 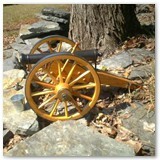 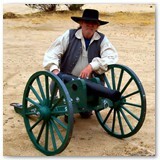 We also build Custom Cannon Wheels to fit any size requirements, need, or project. 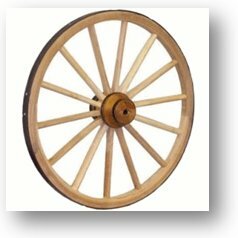 For custom Cannon Wheel quotes, please Contact Us. 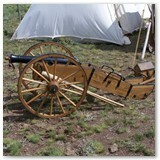 Real Cannon Wheel, 14 spokes, dished, tire is 1" wide, 4 band hub is 3 2/3 " dia x 5 1/2 " long 1/2 axle hole in hub. 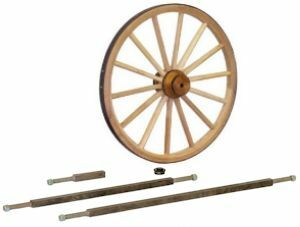 Our metal axles are made from solid square solid steel stock, machined on each end to match the wheel, the ends are threaded and shipped with nuts for the ends. 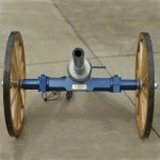 For Axle Pricing, Please Contact Us. 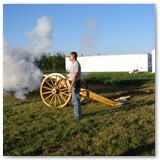 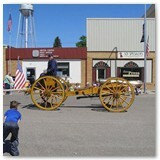 To view our Cannon Wheels on real working cannons view our Photo Gallery, Click Here. 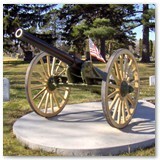 To view a larger image, Click On A Picture Below. 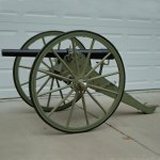 We can make custom Cannon Wheels up to 14 feet for most any project, for cannon axles and custom cannon wheel prices please Contact Us. 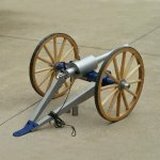 Custom orders can require up to 6 - 8 weeks..
We ship orders as soon as the order is completed, however, please allow 14-21 days for delivery of Custom Cannon Wheel orders. 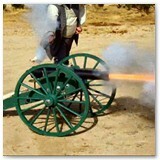 If you need faster delivery, please contact us we will try to accommodate your request.